Mott’s sophomore big man Fred Mattison earned all-tournament team honors at the NJCAA National Tournament in Danville, Illinois on Saturday. Mattison was Mott’s most consistent performer in the tournament, scoring 13 points and pulling down seven rebounds per game. Mott went 2-2 in the tournament, losing to Louisburg College in the consolation bracket on Saturday to finish in 8th place. It was Mott’s worst finish at the national tournament during Steve Schmidt’s 22-year tenure as coach. The MCCAA’s other representative, the champions of the Western Conference from Grand Rapids, fared even worse — an 0-2 finish and early exit on Thursday. Mott will regroup, as the bulk of the firepower from this season’s team will return for next season. Mott will look to return to Danville next season for the fourth consecutive time. Flint Beecher players celebrate as the final buzzers sounds after their 40-39 victory over Laingsburg in the Class C State Championship game in East Lansing. 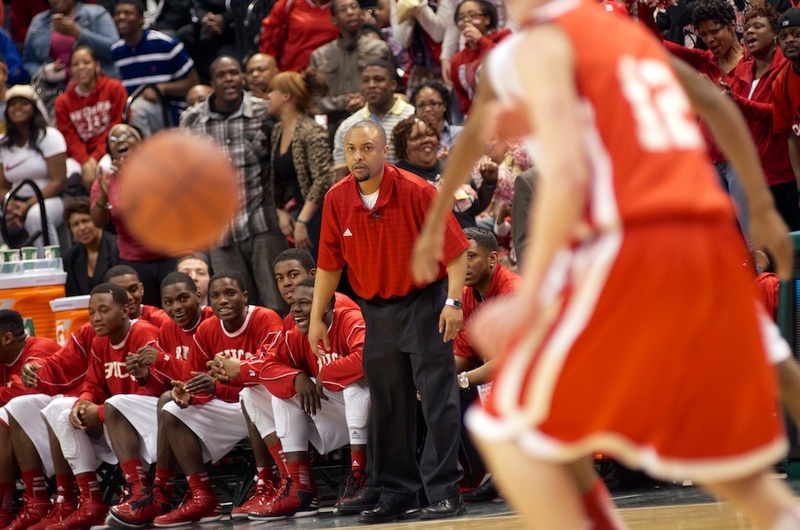 Flint Beecher head coach Mike Williams. EAST LANSING, Michigan — If someone would have told me that the final of the Class C championship game between Beecher and Laingsburg would be 40-39, I would’ve said congratulations to Laingsburg on an improbable victory. If that same someone told me that Monte Morris would be sick with flu-like symptoms and would miss a portion of the game, then I would wonder why it was so close. But Saturday evening, Beecher showed why they’re the district of champions, overcoming odds and, according to coach Mike Williams, beating their toughest opponent of the season, 40-39. “Their coach does a great job teaching his team fundamentals,” said Williams of Laingsburg head coach Greg Mitchell. “Those kids really understand what they’re doing. I warned our guys that they couldn’t just go out and run through. Those kids have nothing to be ashamed of. That’s the best team we played all year, including Pershing. Coach Williams has always thought outside of the box. At clinics and in press conferences, I’ve heard him often say things like, “we use our defense to create offense.” Nuance like that is probably what makes him a repeat state champ and perhaps the best coach in the state, but his nuance met its match with Coach Mitchell. Mitchell’s guys didn’t struggle for one second with the much-applauded Beecher press. That led to an early deficit and confusion on offense. But as the game wore on Beecher found its groove, involving more guys on offense, and taking more risks on defense even if it led to fouls. Such a performance was necessary with a sick Mr. Basketball. Ultimately, Mitchell navigated his team to what every basketball coach dreams of: possession of the ball and just one basket away from a state championship. It wasn’t in the cards for the Wolfpack, but they gave their coach and their town something to remember forever. 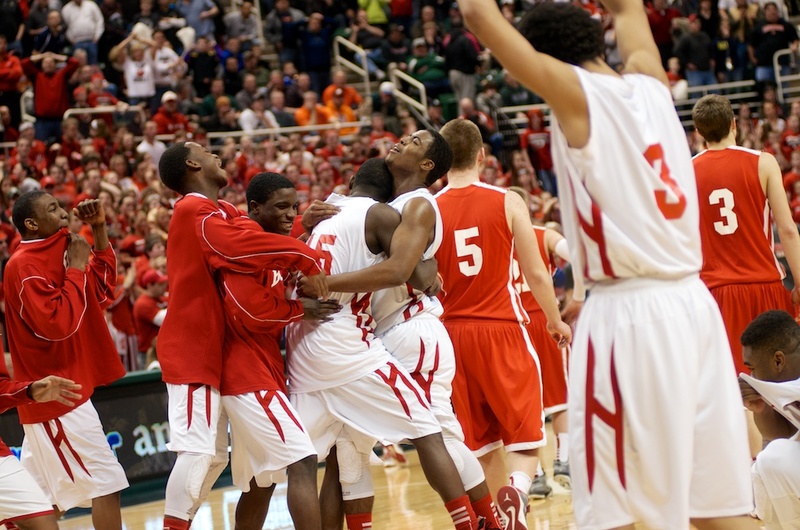 For Beecher, back-t0-back state championships will put them in the conversation with some of the best high school basketball programs in the state’s history. It’s not simply about the two straight state titles, however, it’s about the staying power of a great coach who has led his program to the Breslin Center four consecutive seasons. There’s only one team in Michigan that knows its way around the Breslin better than Beecher, and they were playing at the Palace today. 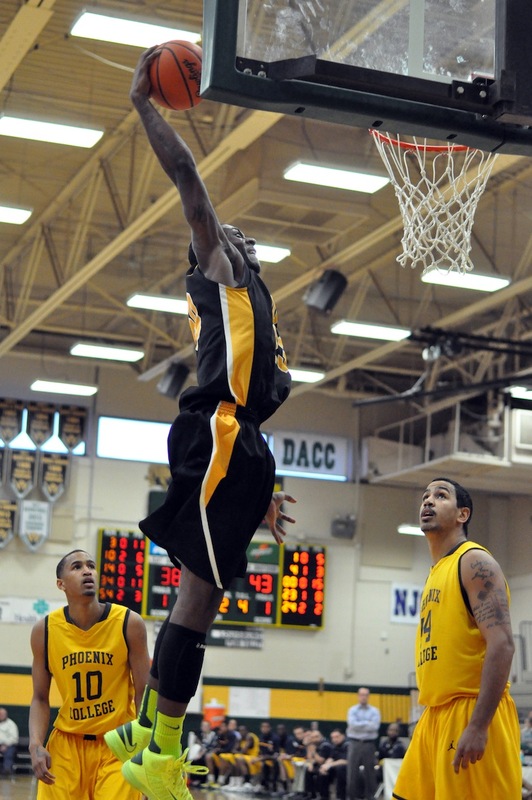 Mott’s Fred Mattison finished with 14 points in the Bears’ 13-point win over Phoenix College Friday. The goal every season for a championship program is to play on the last day of the season. Unfortunately, unlike the past two seasons, Mott will not play in the national championship game in Danville, Illinois, on Saturday. Mott will play on the season’s final day, however. The Bears were upset in the first round by Central CC (Nebraska) and have since bounced back with two wins over Iowa Lakes and, most recently, Phoenix College. Mott (31-4) will play Saturday with a chance to finish in seventh place. They will play either Howard CC or Louisburg College. The Bears puts the clamps on Phoenix early on and for a long stretch in the second half. At one point in the second half, Mott forced Phoenix into a dozen consecutive misses. The Bears held Phoenix to 31 percent shooting in the second half. 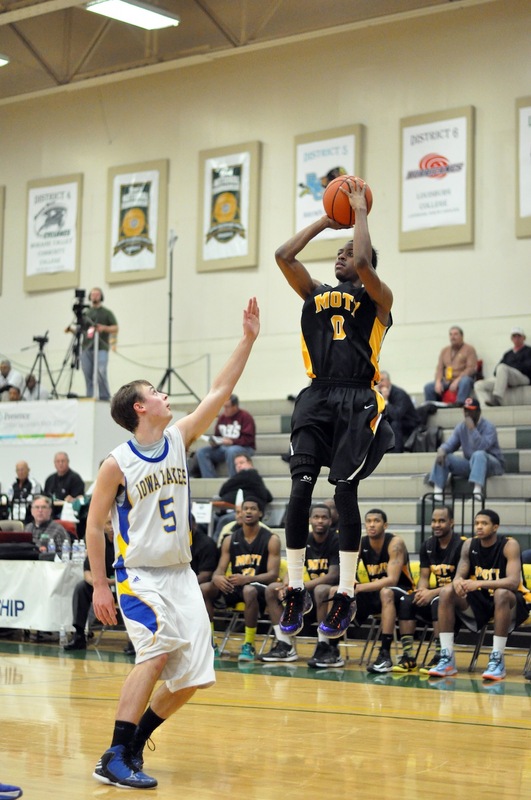 Mott was led by freshman Malik Albert who scored 19 points with three assists. Sophomore Fred Mattison scored 14 points with four assists and his cousin, Chavis Mattison, added 10. A win Saturday would be the 30th in Schmidt’s career at the National Tournament. Mott Community College (30-4) shrugged off one of the most disappointing performances in Steve Schmidt’s coaching career Tuesday morning by knocking off Iowa Lakes, 73-68, on Wednesday afternoon in Danville, Illinois. The victory gives the program its third consecutive season of 30 or more wins. The game was Schmidt’s 33rd in the national tournament, increasing his overall record to 28-5. Probably no player on Mott’s roster took Tuesday’s loss against Central Community College (Nebraska) harder than freshman guard Malik Albert. The former Detroit King standout had his worst game as a Bear, shooting 1-for-17 from the field and 0-for-11 from 3-point range. Schmidt said he sat down with his lead guard after the game and had no doubt he would bounce back. And that’s exactly what he did. 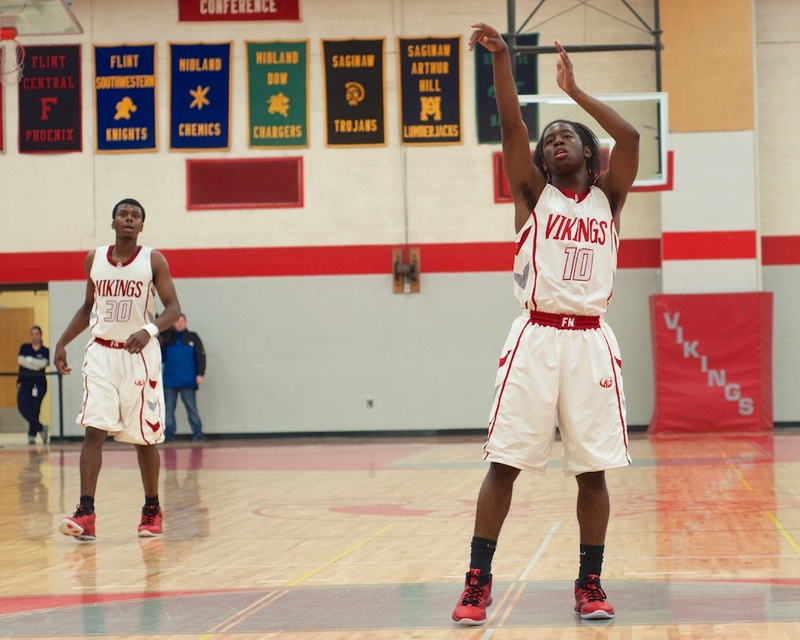 Albert led Mott with 20 points including several clutch free throws down the stretch to put the game away. 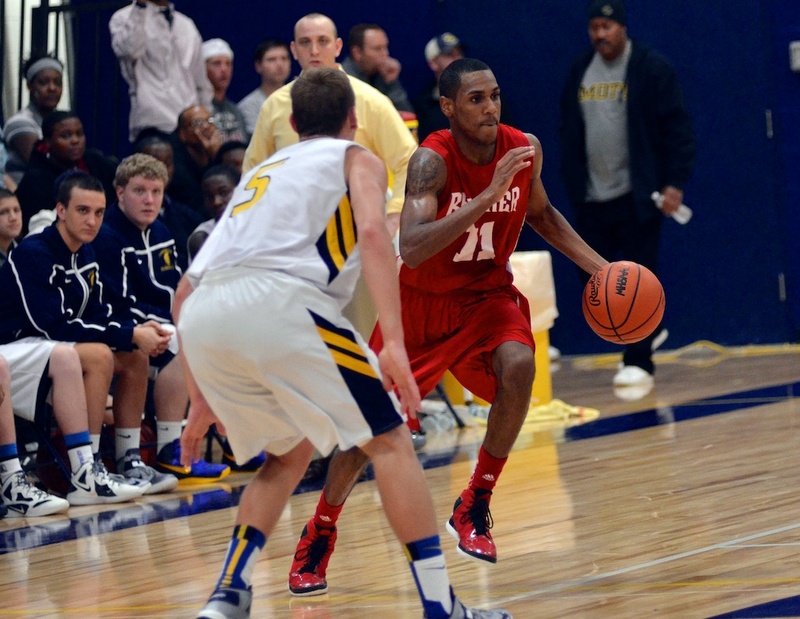 His backcourt mate, Devin Foster, added 16 points with five rebounds and three assists. After an abysmal shooting performance on Tuesday morning, Mott shot 55 percent from the field as a team against Iowa Lakes. Former Flint Northwestern sharpshooter Deondre Parks, a freshman at Iowa Lakes, scored 14 points. Mott will not play again until 11 a.m. Friday against either Phoenix College or Cecil College. With Flint Northern slated to be closed, will Southwestern take the spoils? Ray Ray Lewis, junior guard, Flint Northern. As many of you have heard, the Flint Community Schools Board of Education voted to close several schools including Flint Northern High School at the end of the school year. This shouldn’t be a surprise to anyone, as FCS has sustained too many buildings operating at far less than capacity. All that being said, as the District starts the process of re-drawing high school boundaries, will they gerrymander around the homes of Ra’mon Lewis, Amariontez Thomas and Kaylin Johnson? Those three are really talented and if they were added to an already loaded roster at Southwestern Academy, we’d have a team in Flint that could compete with the likes of class A powers Saginaw High and Detroit Pershing. Southwestern has already been pegged as a team to watch over the next few seasons, as the Knights’ top players are all returning (Neshua Wise, Miles Bridges, Jaire Grayer and Malik Young). Is this a team that could bring a state title to the city limits for the first time since Flint Northern in 1995? With the right coach, certainly. Is Keith Gray the right coach? We’ll find out. The unthinkable happened on Tuesday morning in Danville, Illinois. 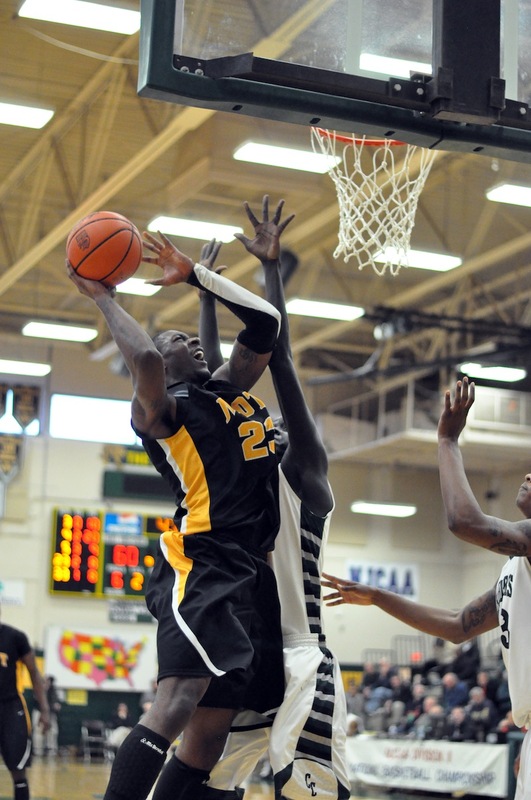 The top seed in the NJCAA National Tournament, Mott Community College, was knocked off by Central Community College (Nebraska) — one of the bottom four seeds in the tournament. The Bears (29-4) could not overcome its atrocious shooting from the perimeter including 1-17 (0-11 from 3-point range) from freshman guard Malik Albert. As a team, Mott was 3-for-27 from 3-point range. Mott struggled mightily early on, but played well enough defensively to take a two-point lead into halftime after a tip by sophomore Kortez Ross. Central CC, winners of 11 of its last 13 games, packed it in defensively for the bulk of the game and limited Mott’s touches inside. “We just didn’t make the shots,” said Mott head coach Steve Schmidt. “Give credit where credit is due. They played with more passion than we did. They got the lose balls and made the plays. We didn’t have our best effort. Fred Mattison led Mott with 17 points. Ross and Coreontae DeBerry added 11 and 10 points, respectively. Mott will return to action tomorrow in the consolation bracket. In more than three decades, only two Flint-area players had earned the prestigious Michigan Mr. Basketball Award, given annually to the state’s top senior. All that changed on Monday, as Flint Beecher’s Monte Morris joined Kelvin Torbert and former NBA all-star Glen Rice in the fraternity. No, they don’t, and this year, the Basketball Coaches Association of Michigan, in conjunction with the Free Press, is handing out the 33rd Mr. Basketball award to Morris. Morris, who signed with Iowa State, captured the most prestigious award a high school athlete in Michigan can receive in one of the closest three-man races in the history of the award, named for the former Free Press sports writer who covered high school athletics for more than 40 years. He accumulated 2,130 points while Harper Woods Chandler Park’s Derrick Walton Jr. was second, with 2,086. James Young of Rochester was third (2,030). Detroit Pershing’s Kahlil Felder was fourth (1,252) and Dowagiac’s Dontel Highsmith was fifth (1,161). Seeing Morris win this award is great for basketball in this state. He’s not the most naturally talented player in that group, nor is he the most prolific scorer. He is the best all-around basketball player in that group and he plays the game the right way. He sees and understands the game like a grown man, and is among the most popular players I’ve ever seen with fans from opposing teams, opposing coaches and officials. He’s a hard guy not to like, and clearly it was hard for many voters to pass him over. WINONA LAKE, Ind. – John Taylor became the first player in Pacific West Conference and Fresno Pacific history to score 50 points in a game, leading the top-seeded Sunbirds past #8 Roberts Wesleyan 113-101 in the first round of the NCCAA Tournament. The 50 points broke a 44-year FPU school record, a Pacific West Conference record, and was the highest point total this season by any player at the NCAA Division II level. His 50 points came on 23 shots — a truly remarkable performance. The Mott Community College Bears (29-3) have earned the top seed in the NJCAA national tournament in Danville, Illinois March 19-23. 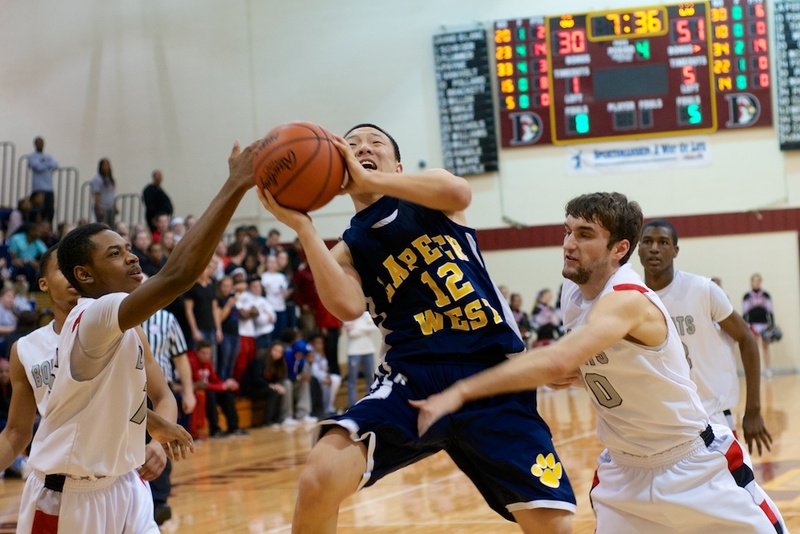 West’s Cullen Turczyn scored a game-high 27 points against Grand Blanc.